Reducing the amount of time staff spends answering basic questions. Relieves any initial anxieties the customer may have about your product or service. Conveys transparency with your product or service, which encourages trust from the customer. Provides good site content for a positive user experience and contributes to a good SEO strategy. FAQ pages certainly have value, but how can you use it to improve your business? Use these tips to get the most out of your FAQ page. There are subtle differences between your About Us page and your FAQ page. You may combine the two if you choose, but then you aren’t taking advantage of the unique possibilities of an FAQ page. Your About Us page should cover the history of your business, demonstrate your knowledge and expertise in your field and even show off a little of your business’s personality. It is the story of your brand. An FAQ page, on the other hand, deals more with the specifics of your product or service. The format is less of a narrative and more of a list of short statements. One of the biggest mistakes you can make is tailoring your FAQ section solely to new customers. While your new customers probably have more questions than returning customers, it’s best to cover the entire purchasing journey from start to finish. This includes questions about things like returns, continuing subscriptions, etc. Make each customer, no matter where they are in the process, get the knowledge they need to optimize their experience. Was there anything that confused you about the product? Was the purchasing process clear? If not, what confused you? Did you know all your options for your order (payment, shipping, etc.)? Did the FAQ page answer the questions you had? Use their feedback as an opportunity to gain perspective and adjust your FAQ page accordingly. When choosing which questions to include in your FAQ section, be strategic with your choices. While the primary use of the FAQ section is to improve your customer’s experience overall, it is also an opportunity to show your customers that you’re an expert in your product and happy to address their concerns. 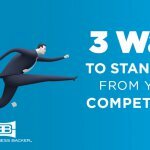 By communicating clearly, your customers are more likely to have a sense of trust associated with your brand. 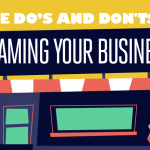 Part of your strategy should also address the shortcomings of your product. For example, if you have an app, but it’s only available with iOS platforms, say that in your FAQ. A good way to address a situation like this is to acknowledge the current availability in iOS and how you are happily working on your Android app or will be in the future. Transparency with your customers is a valuable attribute. If you recognize this gaps and let your customer know you’re aware of them as well, you are clearly managing customer expectations. 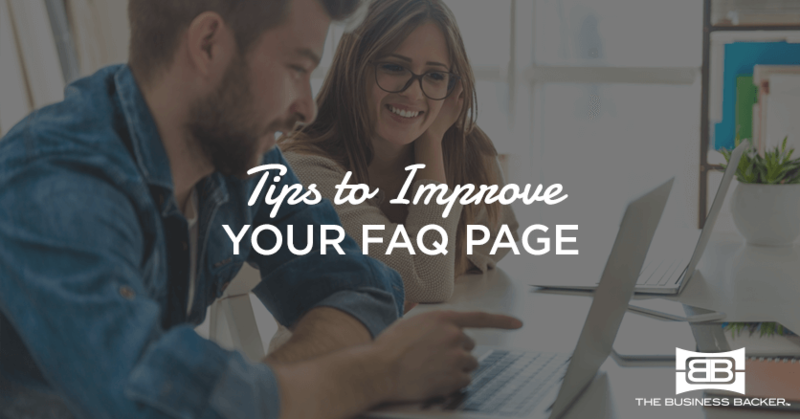 Don’t bury your FAQ page on your site — you want to improve the customer experience, which you can’t do if they can’t access the page! As discussed before, do not tuck it away on your About Us page because it’s not necessarily intuitive to find there. Many site owners will combine their FAQ page and their Contact Us page. This isn’t an awful idea because people that have questions may be looking to contact you. It may also be people looking into your hours or for your phone number for other reasons. Ideally, you want to have the FAQ page linked in your navigation bar or in your footer for easy access. If you feel the need to combine it into another page, the Contact Us page is probably the most logical.